SI/ Kofu dedicated to empowering women and girls worldwide! SI/Kofu, named in commemoration of the 500th anniversary of Kofu, Japan, is committed to improving the lives of women and girls globally. 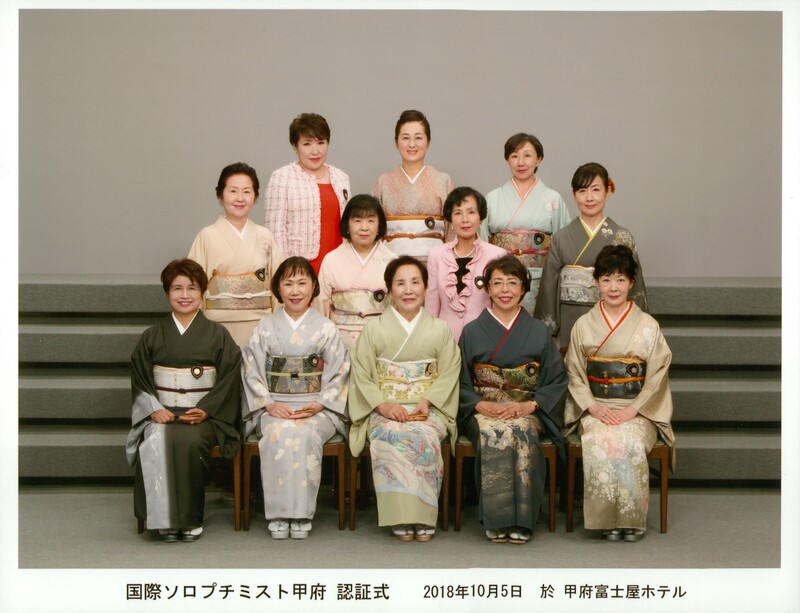 Chartered in October 2018 under the guidance and sponsorship of SI/Yamanashi, SI/Kofu has already made incredible strides as they join the Japan Higashi Region in helping more women and girls achieve a brighter future. SI/Kofu, led by President Fumiko Tanabe, has worked tirelessly this past year creating and establishing fundraising programs. This includes their “Smile Box,” a unique way of enabling members to “pay it forward” by making a contribution following a birthday or memorable event. SI/Kofu has also joined forces with SI/Yamanashi-Chrystal and will be establishing a local Dream It, Be It program at Yamanashi Norin High School. Their program will focus on providing girls with the tools they need to achieve their education and career goals. The members of SI/Kofu are not only empowering women and girls in their local community, but they have extended their reach worldwide through a generous Club Giving gift. We are so grateful for their contribution, which will directly support SIA’s global Dream Programs, helping to reach even more women and girls within our 21 countries and territories. “What is most appealing to us is that we can be of some help to women and girls in need all over the world. It is a matter of sheer joy for us to help any woman in need,” said President Fumiko Tanabe. This amazing group of women is dedicated to Soroptimist’s vision of inspiring women and girls through social and economic empowerment. The members of SI/Kofu are eager to unite women and girls worldwide through their continued support of SIA’s global Dream Programs. Join SI/Kofu in making a gift to Club Giving and your club can make dreams come true too!